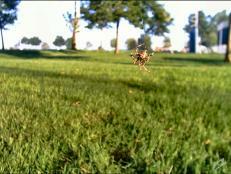 The hidden hazards—yellow jackets, spiders, ticks and more—of gardening. You might think your garden or yard is the ultimate safe zone and the last place where you'd expect to encounter any health hazards or bodily injuries. Yet, even in a place as seemingly benign as your rose garden or watermelon patch, there are risks you take each time you work in the yard and foremost among them is exposure to insects and spiders. 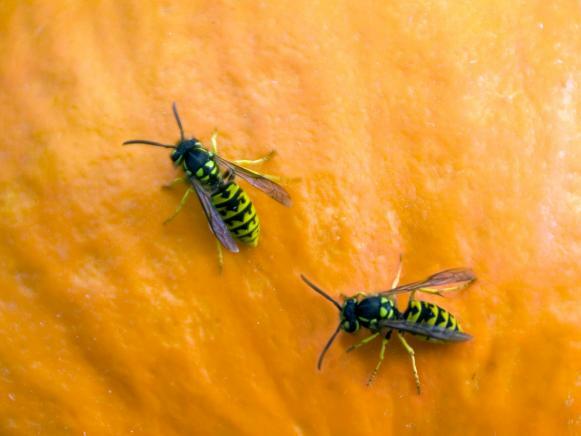 While there are many that are actually beneficial to your garden, there are also several that can harm you through their bite or sting. Some people have severe allergic reactions to insect and spider bites, culminating in emergency room treatment or death in worst case scenarios. But there can be other complications too as I recently learned. I was gardening and when I came inside, I noticed a small lump above my right eye that resembled a blackhead. It began to swell and by evening it resembled a big red lump and started to itch. I figured I had been bitten by some sort of insect, cleaned the area with alcohol and expected the swelling to subside by the following day. Instead the area became more inflamed and irritable, prompting a visit to the doctor. To make a long story short, my bug bite morphed into a staph infection. In general, staph infections are caused by a type of bacteria that is commonly found on the skin and usually results in minor skin infections. They can turn deadly, however, if the bacteria becomes more invasive, entering your bloodstream, joints or organs. Luckily, my staph infection was treated and cured with the help of an antibiotic. The bad news was that I had a severe reaction to the sulfa-based antibiotic which resulted in flu-like conditions with high fever, night sweats, a throbbing headache and an ugly red rash that covered my legs, arms, back, chest and stomach. I have since recovered but all of this was triggered by one small bug bite. I suspect that the initial wound was caused by an ant or mosquito since I didn't feel the bite when it actually occurred. But the next time I garden, I intend to be prepared. These basic rules of thumb should help prevent unfortunate encounters of the bug kind in the future. 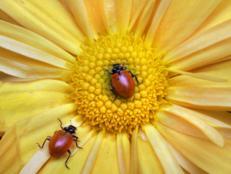 Carefully survey your work area before gardening to see if there any insects in sight that could pose problems. Apply insect repellent on any exposed skin areas before working in the garden. Wear a hat or cap. Ticks, in particular, just love to hunker down into a full head of hair and embed themselves into your scalp. Wear gardening gloves to avoid bites on your fingers and hands. 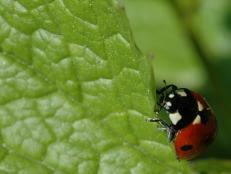 As for insects that can pose a health threat to humans, here are some key offenders to look for in your garden. Ants can be beneficial to your garden. They help aerate the soil, pollinate flowers and distribute seeds in the process of gathering food and can rid the garden of pests like caterpillars which cause considerable damage to plants. But if you discover ant colonies in your garden, the little critters can turn on you if you disturb their nests. Even the seemingly innocuous black ant can inflict some harm if you are allergic. 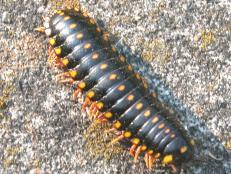 They have little stingers which could cause some discomfort if several of them stung you. Much more threatening is the carpenter ant, which can not only cause damage to your home (they tunnel through wood), but they have a nasty bite, injecting formic acid into the skin. Worst of all is the fire ant which arrived in this country from South America in the early 20th century. They have adapted well and are a fierce menace. Extremely territorial and aggressive, their venomous bites leave painful, burning welts that can become infected if not treated promptly. Spiders, which are not insects at all but arachnids, are probably the most beneficial living entities to have in your garden next to bees since they feast on many plant predators like moths, cucumber beetles, thrips and leafhoppers. And spiders generally do not pose any serious health threat to gardeners since they rarely bite unless they feel physically threatened. In most cases, these bites result in some minor swelling and irritation unless the spider happens to be in one of these four categories and then you need to worry: the brown recluse, the black widow, the hobo and the yellow sac spider. The hobo spider mostly resides under rocks, wood and debris while the yellow sac spider is nocturnal so neither of these are likely to turn up in your garden. 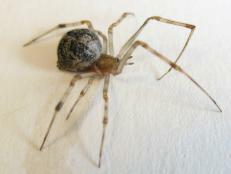 The black widow and the brown recluse, however, are much more common and you need to be aware of their presence. The venom of the Brown Recluse, for example, is considered more deadly than a rattlesnake and can cause muscle pain, nausea, vomiting, severe itching and worse if you are not treated immediately. The black widow spider's bite is no less toxic and can cause similar symptoms along with a paralysis of the diaphragm making it difficult to breathe. Most people have been stung at some point in their life by one of the above insects and should already know if they are allergic or not. Each year between 50 to 100 people die from wasp or bee stings due to an allergic reaction. Unless you have access to an epinephrine injection kit or receive emergency treatment immediately, you could die within one hour after being stung. That said, the gardener simply has to accept the fact that yellow jackets, wasps, hornets and bees are going to be attracted to their plants and flowers. And their symbiotic relationship is crucial; they assist in pollination and they control and consume garden pests like caterpillars and fly larva. The best rule of thumb here is to exercise caution and keep a bee sting kit handy when working in the garden. Other than representing diversity in the world of insects, it's hard to assign any beneficial value to ticks. Are they a main food source for other animals? Do they serve some productive function in gardens? Do they have any medicinal importance or are they essential for scientific research? All of these questions are debatable but what is generally agreed upon is that ticks are the carriers of various diseases that can kill, paralyze or seriously infect people and animals. Ticks are most often responsible for the spread of Lyme disease but they also carry typhus, Rocky Mountain spotted fever, tularemia, anaplasmosis and other forms of infection. According to most sources, the best repellent for ticks is Permanone but you apply it to your garden clothes, not directly to your skin. If you find a tick on yourself, clean the area first with alcohol and then remove the tick with tweezers, taking care not to break off the tick's head or jaws in the wound. Clean the bite again with alcohol and then wash with soap and water. To be on the safe side, you should put the tick in a glass container and take it to your doctor for analysis in case it is carrying Lyme disease. Why wait until symptoms begin to occur? No less deadly or obnoxious than ticks is the common mosquito. Among the many diseases they carry are West Nile Virus, malaria, yellow fever, dengue fever and heartworm (a parasite affecting household pets). In the past DEET was a popular method for repelling this ancient foe but some express concern about using a pesticide on your skin. Instead, people are finding other effective methods for combating mosquitoes such as creating a natural repellent made from crushed parsley and apple cider vinegar applied to skin. Some people have found that eating garlic regularly keeps mosquitoes away but if that idea doesn't appeal, you can always make a garlic juice spray for your protection. There are also a number of plant oils that have proven effective in mosquito prevention such as peppermint, geranium, rosemary, citronella or clove oil. Combinations of different ingredients can also work well like a mixture of lemon and eucalyptus oil or a blend of geranium, soybean and coconut oil (the basis of an insect repellent known as Bite Blocker). If you come up with a new, foolproof repellent made from natural ingredients, please share it with the rest of us! Keep pest problems in check with these adorable garden visitors. 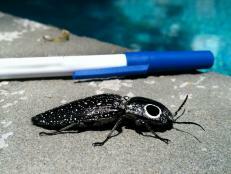 In its earlier life stages, this click beetle is a voracious eater of garden pests. 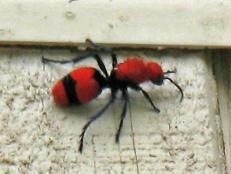 The red velvet ant, actually a wasp, is an external parasite of ground-nesting bees. 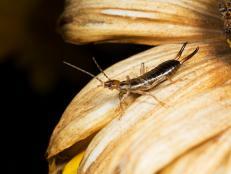 People often remember the bad and forget the good, and that's especially true about insects. 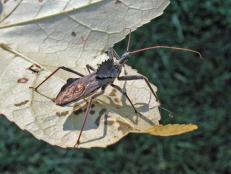 A member of the assassin-bug family, the wheel bug is a beneficial insect. 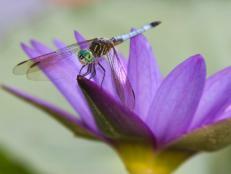 Inviting dragonflies into your garden can provide a lot of magic and fewer mosquitoes.